Today’s post looks at what, potentially, could be the next large-scale case of corruption, and that is the amalgamation of allegations of corruption perpetrated by the European-based Aero Corporation Airbus. Whilst we have looked at the Aero industry closely recently, particularly with regards to the trade-dispute between Bombardier and Boeing, this post can perhaps be regarded as the next instalment of our analyses into the work that the Serious Fraud Office (SFO) is conducting, because it is extremely likely that the SFO will be taking action against Airbus at some point. A previous post regarding the SFO looked at its reprimanding of Rolls-Royce, and there are many similarities between the actions taken in that case, and the actions that may be taken in this particular case; yet, the political elements that are included in this case mean that the outcome may be much different to what is currently being projected. Firstly, it is worth reviewing Airbus’ current situation, because whilst Chief Executive Thomas Enders has been recently warning employees (and shareholders) of ‘turbulent and confusing times’ ahead for the company, the truth of the matter is that Airbus has been experiencing a difficult period for more than a year now. According to The Guardian, the company is currently facing a number of corruption-related investigations across the world, all of which refer to their use of intermediaries in securing contracts from Governmental agencies, particularly in what are referred to as ‘difficult’ territories. This dynamic was the basis for Rolls-Royce settling with the SFO for a record figure, by way of a ‘Deferred Prosecution Agreement’, and in reviewing the current investigations, the same criminal aspects can be seen. The newspaper states that the SFO is investigating ‘misleading statements’ made by Airbus to UK Export Finance, a governmental department that assists major commercial deals, particularly in regards to its use of intermediaries. It also reports that the Parquet National Financier, the French counterpart to the SFO, are investigating the same issues in relation to the company’s declarations to the French and German Export agencies. Finally, it reports that Austrian authorities are investigating the company regarding allegations of fraud and wilful deception concerning a $2bn deal for the purchase of Eurofighter warplanes. However, recent concerns about the company’s compliance with US foreign arms sales may be the thing that propels Airbus into great trouble. Before we look at the details of the US compliance issues, a bit of context may be helpful. The recent trade-dispute between Bombardier and Boeing propelled the issue to political levels, ultimately raising the stakes for all concerned (particularly with respect to the declining political standards on both sides of the Atlantic). However, whilst Boeing’s claims were essentially supported by the US, as evidenced by the imposition of excessive trade barriers, Airbus recently entered the fray and invested in Bombardier’s C-Series plane operations which were the central component of the dispute. Whilst the move has been lauded as an opposition to protectionist strategies, or even bullying, it is likely that the move will have consequences for Airbus. 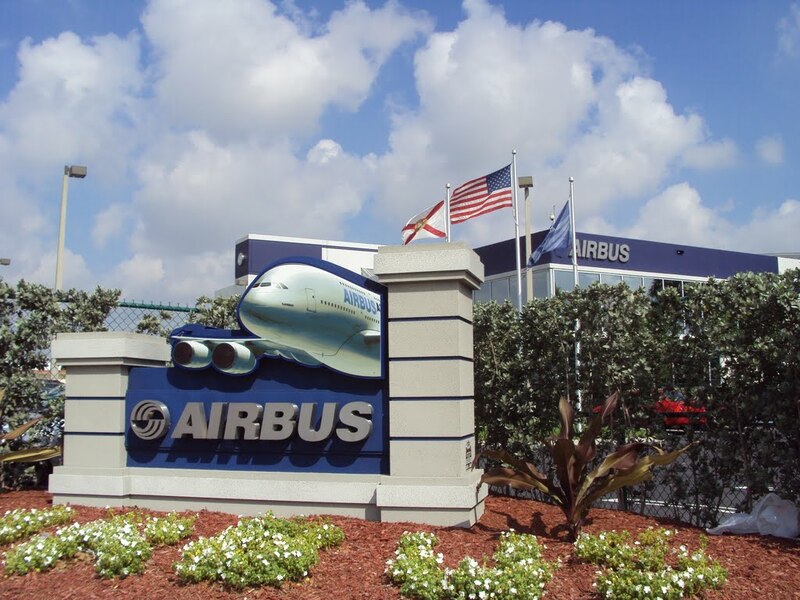 Whilst it is not the case that any Governmental department or employee would state that Airbus’ commercial strategies would see it harshly dealt with, the potential compliance issues give the US the opportunity, should it so wish, to strike quite a blow to Airbus’ position. Airbus itself, as part of its dissemination of third-quarter results, declared that it had unearthed ‘inaccuracies’ in its filings to the US State Department regarding a specific part of the US International Traffic in Arms Regulations – the specific part being section 130, which relates to the ‘sales of defence articles and services’, which The Telegraph confirms includes fees and commissions (the likes of which would be paid to intermediaries). Upon reading the tone of the declarations, it is clear that Airbus is adopting a cooperative tone at all costs, with the company explicitly understanding that cooperation may see their eventual penalty, if one is forthcoming as is suggested, reduced and, absolutely crucially, the attachment of the ‘convicted for corruption’ label avoided, which would be devastating for a company with global ambitions and operations like Airbus. Ultimately, the company’s acknowledgement that penalties will be forthcoming and will materially affect their financial performance is one thing, but the fear that the US will act excessively in relation to the trade-dispute is another. Whilst the opportunity to partner with Bombardier against Boeing made business sense, it has exposed the company to the might of the Trump Administration, which is proud of its protectionist and, arguably, particularly petty nature – those two ingredients spell danger for Airbus if the claims of impropriety are proven, even if just enough for the company to bend in the face of pressure. It will be interesting to review proceedings in this case, because the actions taken by the US will be revealing in terms of the effect that the new political wave may have upon business – if recent history is anything to go by, then Airbus’ ‘turbulent and confusing’ period may be extended further than it imagines. Keywords – Airbus, Trump, Fraud, Corruption, Serious Fraud Office, Politics, Business, Trade, Boeing, Bombardier, Rolls Royce, Deferred Prosecution Agreement, @finregmatters.